The Rockland area has plenty of older homes and maintaining these historic properties can prove difficult if you do not have the assistance of an experienced and qualified electrical technician. At Electrical Solutions we have all the training needed to handle new installation, repair, and general maintenance services on these older properties, so you can rest easy any time you have work performed. Older homes often need wiring replaced to prevent fire hazards, and all of our electricians have years of experience handling these involved projects. 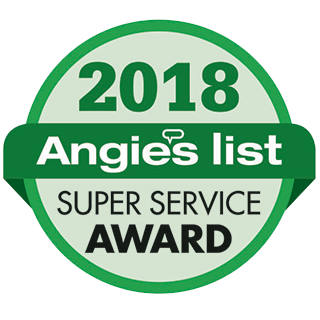 If you live in Rockland you want the service of an electrician that you can rely on, and the reputation that Electrical Solutions has earned over our 29 years of dedicated service should speak for itself. Call on our electrical experts today to see about a free consultation and find out what we can do for you! You want your new lighting to take advantage of the aesthetic strengths of your home and the best way to do that is to have it installed by a qualified professional. Electrical Solutions will work with you from start to and help find just the right lighting for your home as well as determining the best place to install it for maximum benefit. We guarantee your satisfaction and know that you will be pleased with the end results of any installation we conduct. Electricity is dangerous by its very nature and this is exactly why you want to make certain that you do not make the mistake of trying to handle repairs on your own. 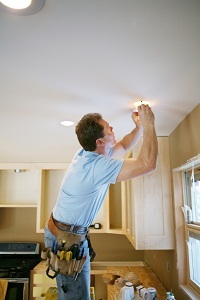 Instead, you need to make certain that you turn to the assistance of a licensed and insured electrician. An electrician is the best answer for your electrical repair needs, and the affordable service of the team at Electrical Solutions can handle any Rockland job, no matter the scale. Rockland will offer all of our customers a flat rate on our services so that they know the cost of an installation, repair, or maintenance project upfront. If you are looking for a Rockland electrician then please call 302-994-6252 or complete our online request form.